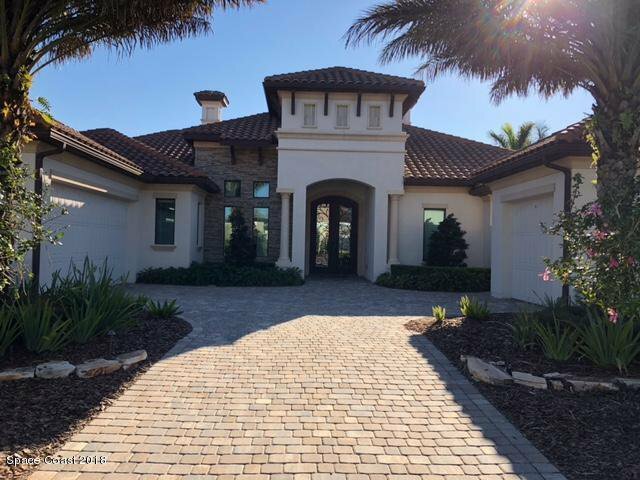 Custom built home in Wyndham at Duran (previous builder's model), in the prestigious gated golf course community in Viera. Upon arrival this homes' landscaping and architecture draws you in from the curb. The wrought iron double door entry welcomes you into the home's foyer with stunning lakefront views. 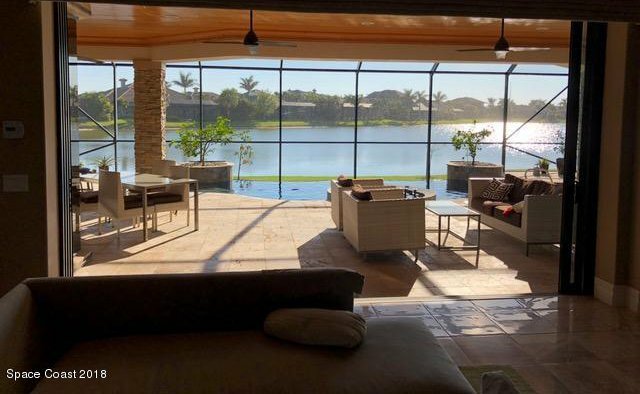 It boasts 3759 square feet and 777 square feet of covered lanai with summer kitchen, infinity pool and hot tub. Open floor plan with gas fireplace in the great room, butted glass in the cafe affords tons of natural light. The split plan is great for families or guests and ideal for entertaining.